Our Top 10 apps for video | What Hi-Fi? The iPad’s picture quality and convenience make it a near-ideal tool for watching video on the move, but as standard, it’s restricted to those video formats supported by (and embedded within) iTunes. 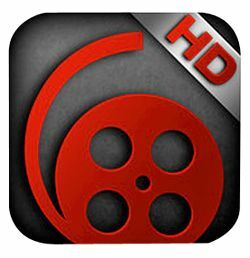 AVPlayerHD solves the problem, freeing your iPad to play a much wider range of content. Best of all, you don’t need to go through the hassle of preconverting your files beforehand: just copy them over in their native form via USB or wi-fi, and then drag and drop them into the AVPlayerHD’s Media Explorer. Your iPad will then be able to replay XVID, AVI, WMV, H.264 and MKV video formats (and more besides), at resolutions of up to 1080p. You get full sweep-based control over fast-forward, rewind and the like, too. The service many credit with having spawned the entire online TV revolution shows no signs of losing popularity. Available over a huge range of devices (with bespoke versions designed to optimise viewing quality depending on the platform being used at the time) and providing a similarly massive range of available content, iPlayer sets both the usability and the quality standard for other online TV and movie providers to emulate. You can choose to stream content live or, depending on the platform you’re using to watch, download to your desktop to watch later. The catch-up service provides a library of the past seven days’ worth of broadcasting plus, increasingly, a good range of HD video on offer, including a limited number of films. Future developments? With last summer’s Wimbledon offered in 3D and 2012’s Olympic Games set to follow suit, it can surely be only a matter of time before three-dimensional viewing hits the iPlayer. Now that BBC One HD has started trials with 1080p too, that could well be on the iPlayer agenda too. Already a huge force in online TV in the USA, Netflix recently launched in the UK, fuelled by a considerable advertising push. Deliberately designed to be as simple to use as possible, it’s already become available in several makes of Smart TV and across all three games consoles and several media streamers, including (surprisingly) Apple TV. Unlike its rivals, you’ll find some Netflix films include Dolby Digital 5.1 soundtracks, and the portal synchronises across all available platforms, so you can begin watching on your laptop on your way home from work, and then carry on using another device, such as your games console, when you flop down on the sofa. They've also just added HD content. The downsides? Currently, you’ll find very few recent releases on the service, either in terms of movies or TV shows. On the other hand, the user interface is excellent, the genre-based filters (that make suggestions for you) are effective, and the kids-only channel is a boon. Amazon-owned LoveFilm had long had a monopoly on online video streaming to UK consumers, but now, thanks to the UK launch of American online giant Netflix, the service is upping its game. Its key change is the new Instant platform, which allows users to sign up for an online-only LoveFilm account that omits the need to receive discs by post. That saves cost (Instant currently costs £4.99 per month), and it’s also increased the platform’s appeal, with LG adopting the new service shortly after it debuted. is considerable, although you’ll find that the very latest releases aren’t yet available. A video-sharing site for grown-ups, Vimeo offers a mix of high-quality user-generated films – and by films, we mean just that. The name Vimeo was chosen as an anagram of ‘movie’: if you want disco-dancing ducks, this isn’t for you. Over the years, Vimeo has moved to embrace high-definition video (in its latest ‘Plus’ version it allows 1080p quality, at a cost). You’ll find plenty of useful hints and tips on how to make better videos for yourself, links through to hardware and software retailers rated and approved by the Vimeo community, and you can even buy high-quality music to embed in your videos (Vimeo claims 45,000 tracks). All-in-all, it’s the perfect place for budding directors to cut their teeth. Zeebox’s heritage is impeccable: it was founded by Anthony Rose, the man most credit with founding the iPlayer. His new venture is a social TV portal designed to help you both find the shows you love and to rate them using both Facebook and Twitter. OK, you’re saying, but I do that already. But Zeebox is cleverer than it sounds: it’s effectively ‘augmented’ television. It allows you to connect with your friends via your social networks and watch the same shows, in real time, as they’re watching – like you’re all sitting together on some giant ‘virtual couch’, if you like. You can also use its instantaneously updated tagging feature to find out more information on what you’re watching (think Shazam, but for TV). You’ll find links to retail outlets too. Finally, if you’ve got a smart TV, Zeebox can find it on your network and interact with it, operating as a remote control handset. The only problem is that for now, the service isn’t available on Android devices, but it’s surely only a matter of time. Apple’s online portal has long been a good place to visit for high-quality legal downloads of TV shows and films, but last year it quietly introduced a new and much more useful feature to the market – streaming. Available first through your desktop or laptop, the rental offering has recently migrated to Apple TV too, meaning you’re no longer obliged to download before you watch. Of course, iTunes is still a pay-TV (and movie) service, but both picture and sound quality are high, especially if you opt for HD. Apple’s iTunes Extras service provides additional content too (much as with BD-Live for Blu-ray), such as behind-the-scenes documentaries and outtakes, although it’s not available for rented videos. Blinkbox differs from its more well-known online rivals because it’s not subscription-based: you simply pay-per-view, either to rent or buy (as you choose). There’s a useful smattering of free content too, and the platform synchronises well over devices. So for example, you could buy and download a film on your home computer, and then find the same offering is available to stream via your PS3 or laptop. Blinkbox’s key attraction is the freshness of its content. It offers far newer titles than either LoveFilm Instant or Netflix: new-release movies such as Cowboys & Aliens and Warrior are available to rent now. The iPad app is more restricted, in that you can only watch content you’ve purchased, but it works well enough. If you love watching movies, you’ll find Moviegram a really useful tool. It brings together a useful selection of summary information on the film itself (running time, certificate, key cast and crew) plus selected ratings from three key online reviews sites: Metacritic, the Internet Movie Database (IMDb) and Rotten Tomatoes. Available free of charge to Sky customers (in line with their respective subscriptions), this online service provides access to up to 39 live channels over your laptop, tablet or smartphone. You can register two Sky Go devices at the same time (and watch on them both, so you can share the joy with a friend or family member). Up to 500 movies are available to watch on demand too, and the quality is excellent, so long as you have decent wi-fi. to enjoy the benefits of this service.